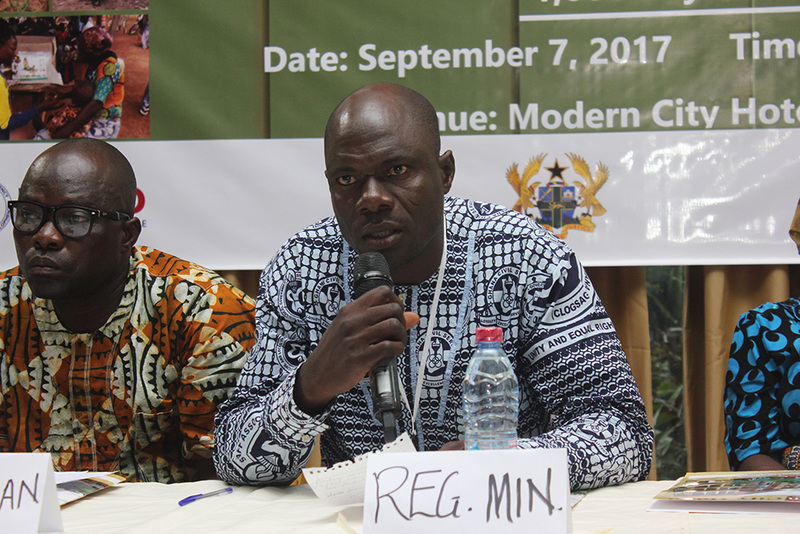 On September 7, 2017, SPRING/Ghana hosted an event to share important lessons learned and accomplishments in improving maternal and child nutrition outcomes in Ghana from 2014 to 2017. 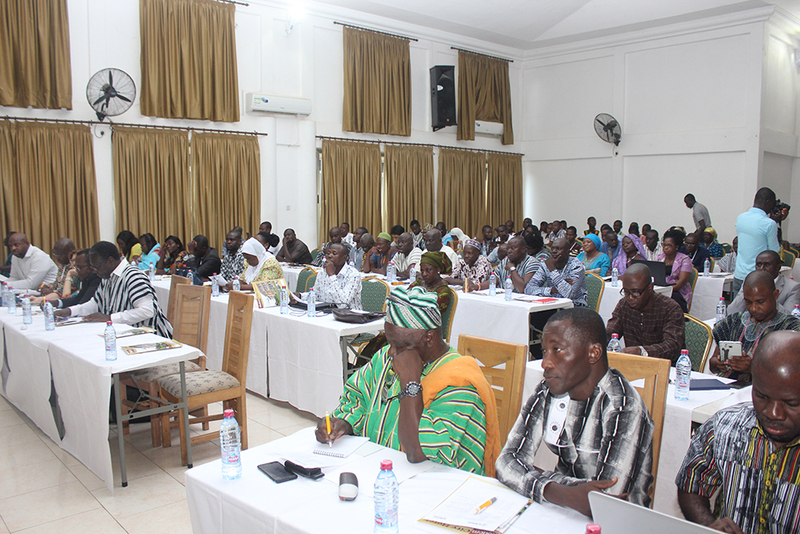 This event was chaired by the Regional Director of the Ghana Health Service for the Northern Region, Naa Dr. Jacob Y. Mahama, and the guest of honor Regional Minister for the Northern Region, the Honorable Salifu Saeed. 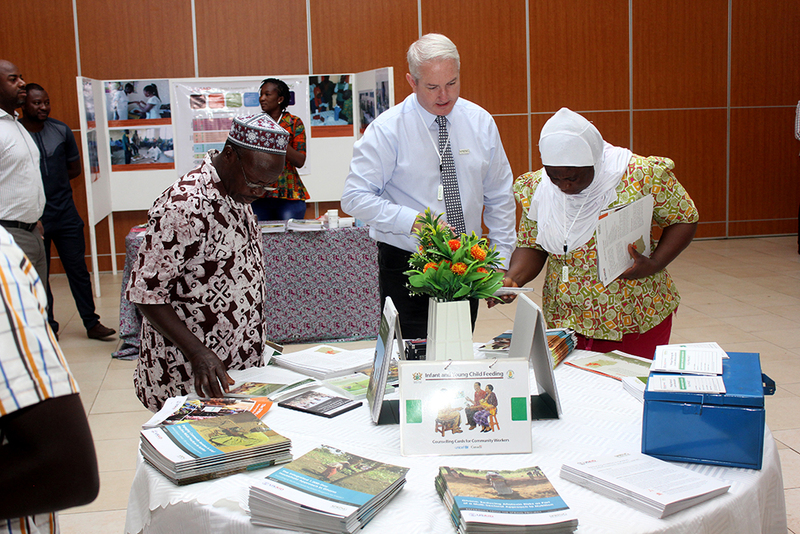 Also in attendance were USAID/Ghana Health Population and Nutrition Director Akua Kwateng-Addo, as well as representatives of other USAID-supported projects (RING and Systems for Health), and development partners including UNICEF and the World Food Programme. 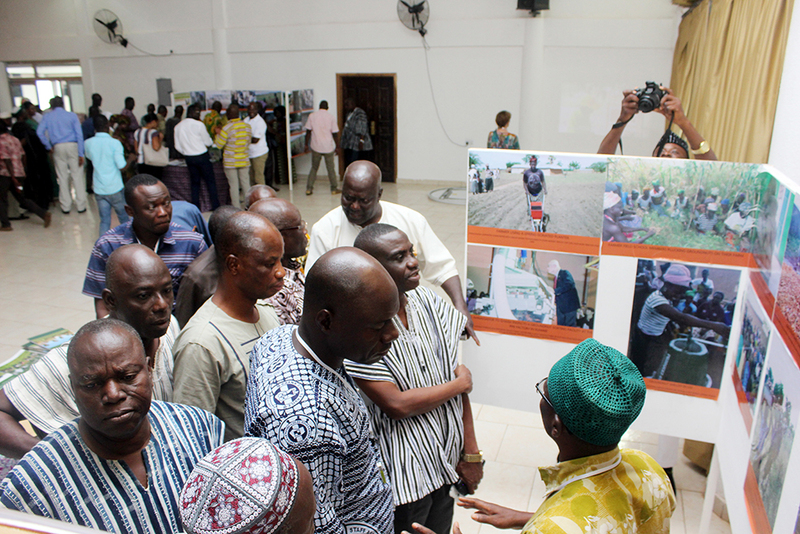 At the event, SPRING Chief of Party Dr. Edward Bonku welcomed participants and delivered a presentation highlighting the project’s achievements and offered recommendations to the Government of Ghana on sustaining improvements seen under SPRING. Results included a reduction in stunting among children under two (from 20.9 to 16.9 percent over two years), increased knowledge of aflatoxin among farmers (from 22.1 to 49.2 percent), as well as an increase in the rate of children receiving a minimum acceptable diet (from 9.5 to 29.5 percent). 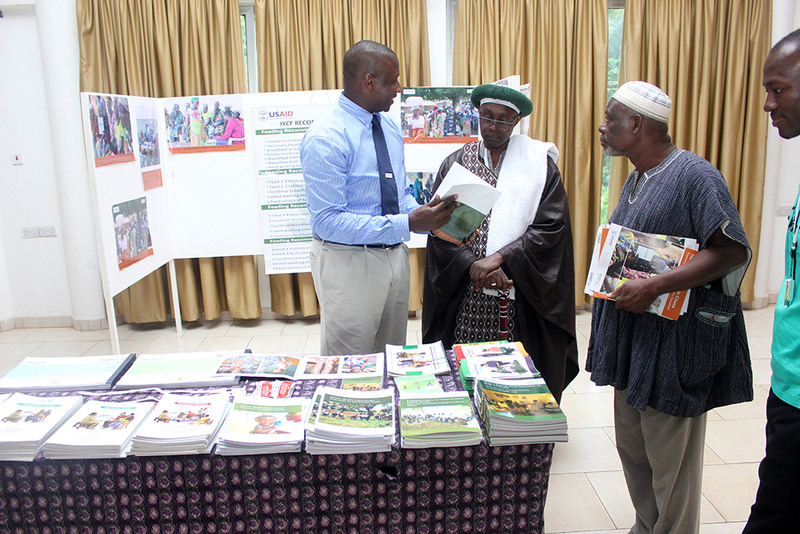 The event featured exhibits of various program components, implemented in concert to address anemia and chronic undernutrition in 15 districts in the Northern and Upper East regions of Ghana. This multisectoral approach included coordination of activities related to health, water and sanitation, agriculture, social welfare, and education. 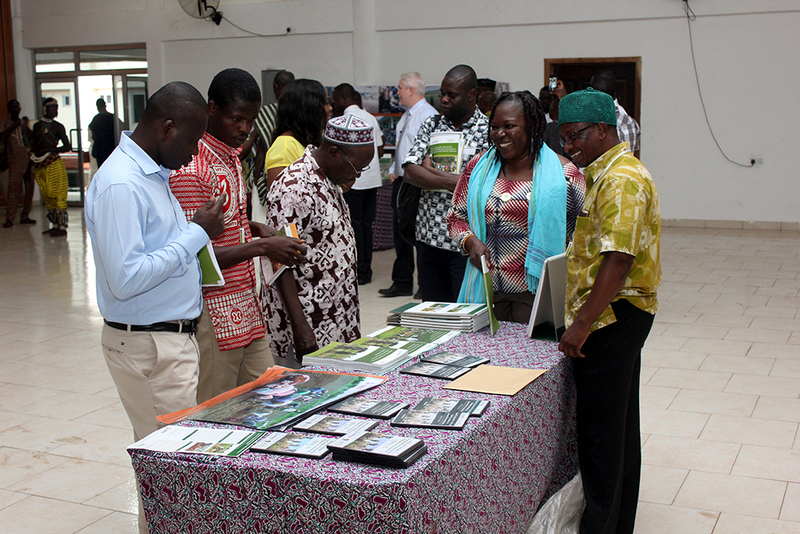 Exhibits at the event included pictures and materials to show SPRING’s work in using an integrated, multisectoral approach to holistically benefit nutrition outcomes of women and children in Ghana. The 1,000 Day Household Approach, referring to the critical window of opportunity to address undernutrition from conception to a child’s second year of life, was described in a presentation by SPRING Deputy Chief of Party, Babajide Adebisi. 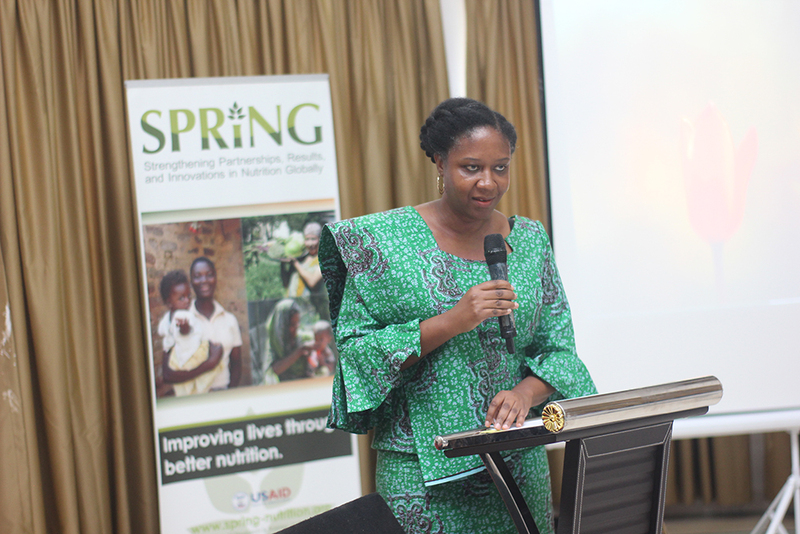 Naa Dr. Mahama concluded the event and highlighted the critical importance of adopting a multisectoral approach to reducing malnutrition in policies and programs to ensure they are sustained in Ghana. 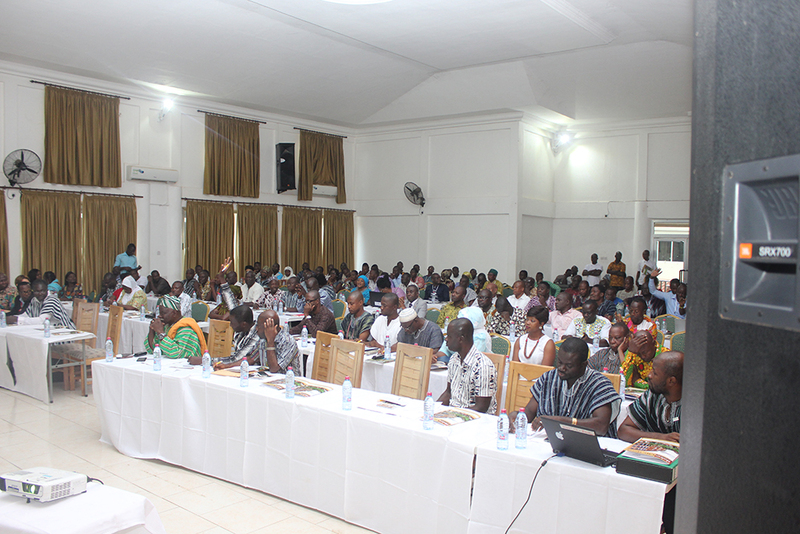 A vote of thanks acknowledged the contribution of USAID and the SPRING program for helping Ghana make strides in its goals to address malnutrition.